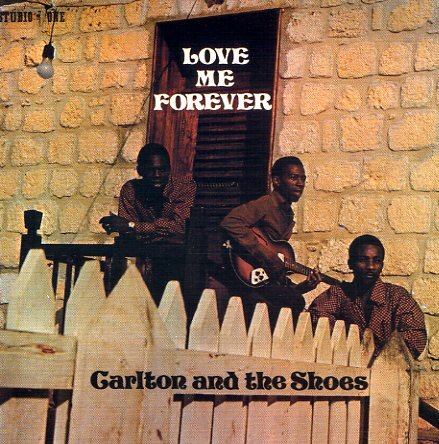 Late 60s rocksteady with soul to spare from Carlton & The Shoes! Love Me Forever is essential a compilation of late 60s recordings by the group that was issued as an LP in the late 70s, and it's wonderful stuff. Coxone Dodd productions with sweet group harmonies and soulful lead vocals. The rhythms are excellent, but this one's really a gem for the vocals! Titles include "Love Me Forever", "Never Give Your Heart Away", "Love Is All", "Sincerely Yours", "Just Me", "I've Got Soul", "Forward Jerusalem" and more. © 1996-2019, Dusty Groove, Inc.